Sebastian! I like this wallpaper! thanks for sharing! The background is very nice, it makes him shine. Very nice! 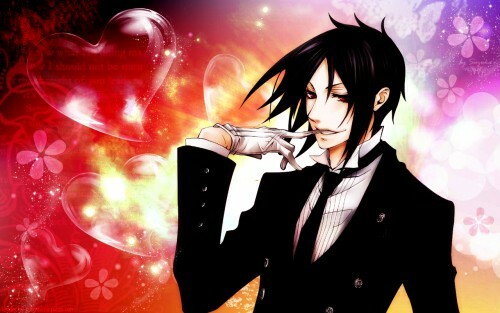 Sebastian is so darn Hawt ...xD xD xD ! Wow! O_O Just look at him! Hot! Suzuka your wallpapers are awesome! All the girly colors work well.